The Graham family operated a drug store in Sandusky from 1845 until 1926. John A. Graham established the drug store, and was succeeded by his son W.A. Graham. 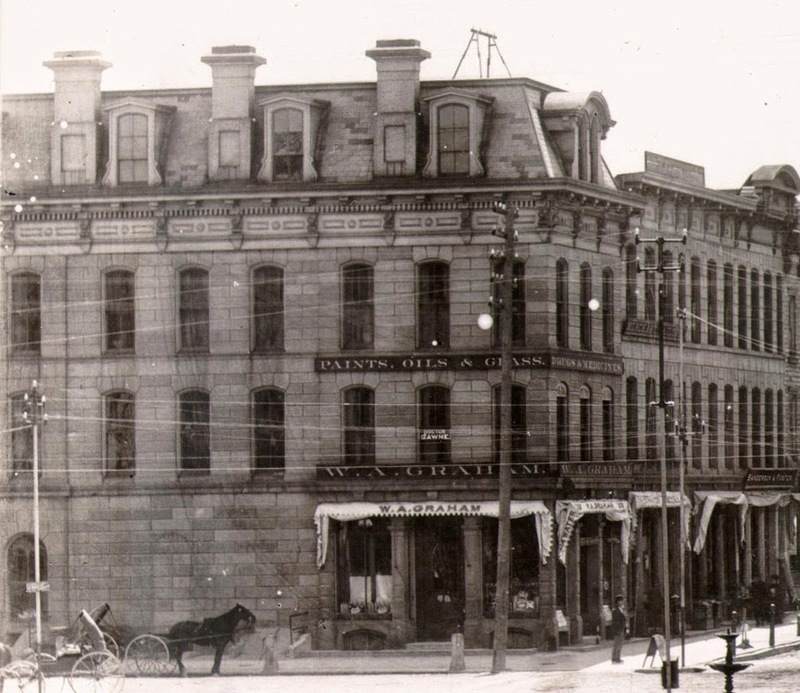 The Graham Drug Store was at what is now 102 Columbus Avenue beginning about 1868. In the picture above, from the late 1880s, the name W.A. Graham is on a sign above the store, and the name of Dr. A.J. Gawne appears on a window in an office on the second floor of the Graham building. An article in the Sandusky Register of March 15, 1915 reported that W. A. Graham “was one of the best known and best prepared druggists in this part of the state.” The Graham Drug Store building is featured in the Old House Guild’s Downtown Architectural Walking Tour of Sandusky, Ohio, which lists 1868 as the date the building was constructed. Ellie Damm wrote in her book Treasure by the Bay, (Bucknell University Press, 1989), that the Graham Drug Store building was in the Second Empire style, constructed from limestone, and faced with sandstone. Jay Meek operated a drug store at this location in the 1930s and 1940s. From the early 1950s through the late 1980s, the Echo Tavern did business at 102 Columbus Avenue. 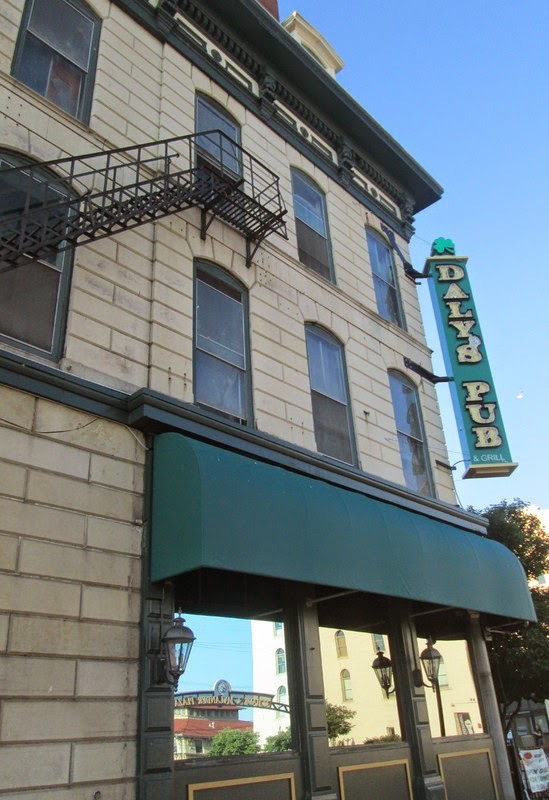 Daly’s Pub now occupies the building. See a previous Sandusky History blog post to view some trading cards that were distributed by the Graham Drug Store.